This meticulously renovated loft has 2 bathrooms with 1-bedroom and two additional sleeping areas and features 11-foot ceilings, beautiful oak floors, a decorative fireplace, custom drapes, oversized windows with automatic shades, central air conditioning, Lutron dimmers, overhead lighting and a Bose surround sound system throughout. 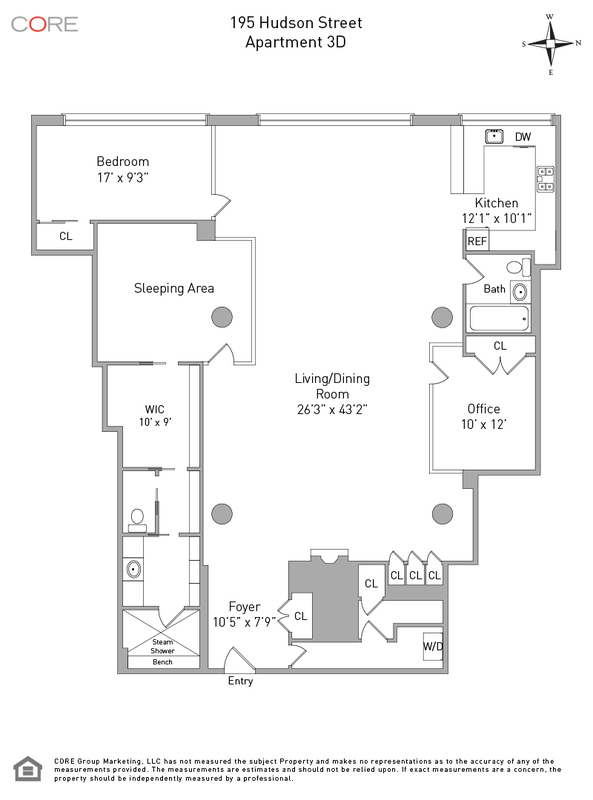 Enter through a large foyer furnished with a large closet which houses a washer/dryer. The open floor plan is perfect for entertaining. There is an oversized living/dining room with beautiful touches such as glass walls, a decorative fireplace and built-in bar. 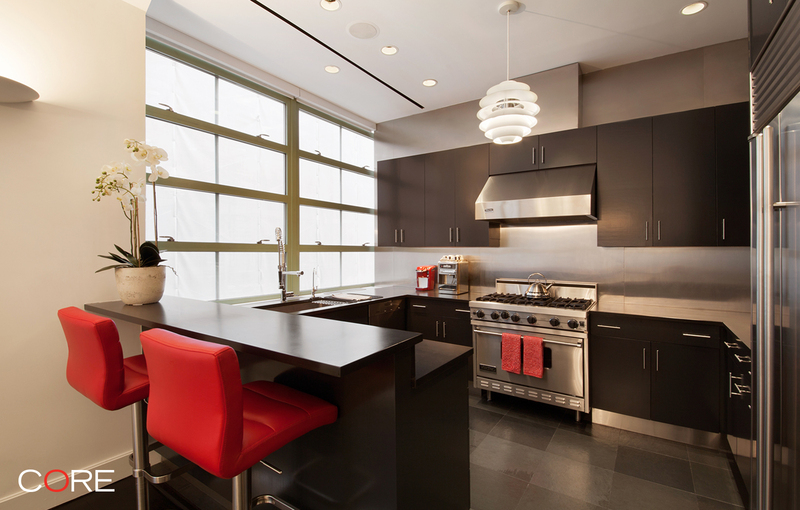 The chef's kitchen has top-of-the-line appliances, slate floors and stone countertops.